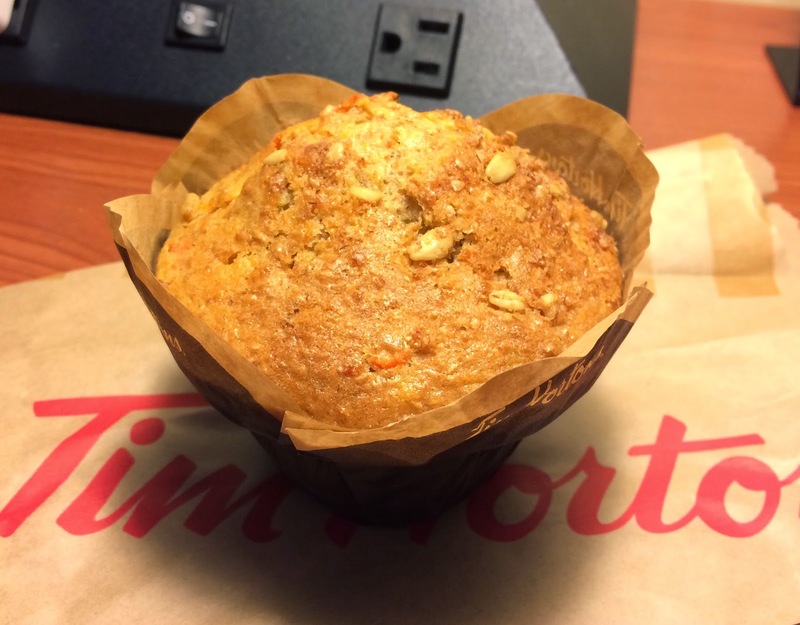 Tim Hortons has set a new promotion to stay healthy, which may be the common New Year's resolution this year, 2015. Listing 8 items for healthy and whole some, they also launched an improved nutrition calculator. 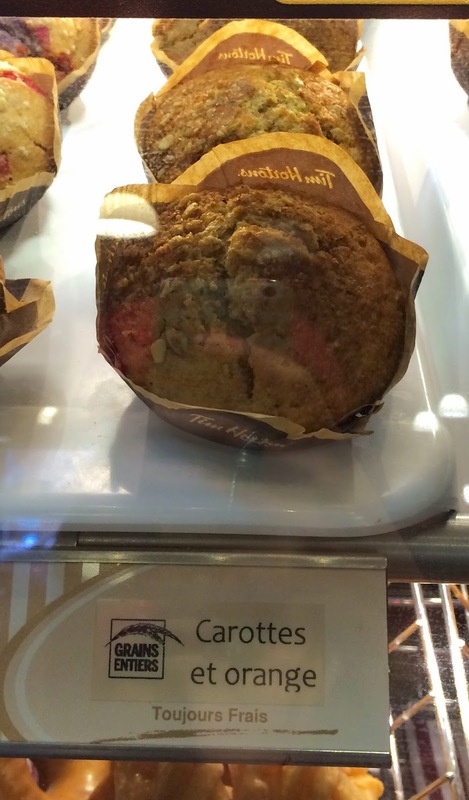 One of the "healthy" items is a "Muffin Grains Entiers Carrotes Et Orange," a Whole Grain Carrot Orange Muffin, and I bought one with a salted caramel donut which I found by chance. 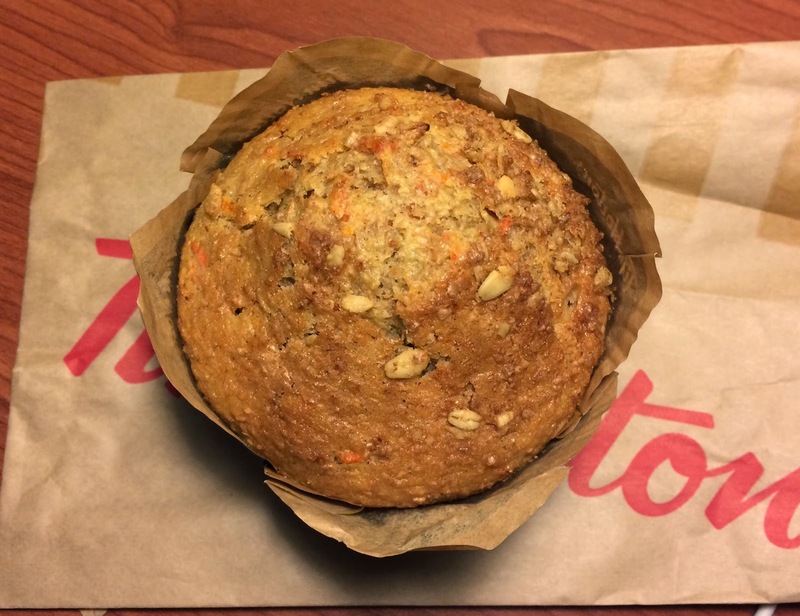 On the muffin, I saw some grains and shredded carrots. 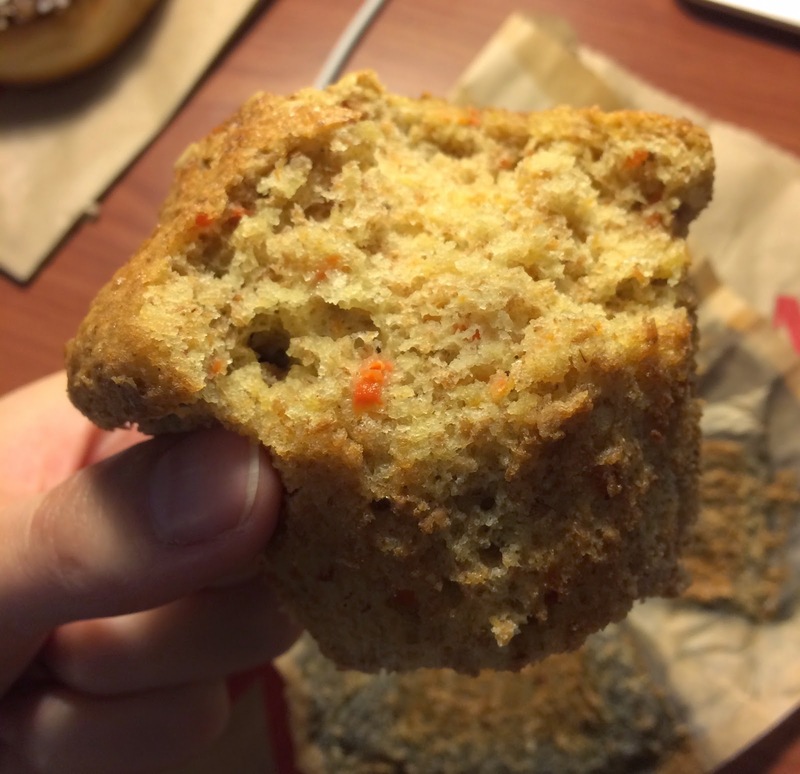 As always, the muffin top had crispy surface and the inside was soft and moist. It had a refreshing orange scent and taste, and the nutmeg scent was much less than carrot cakes so that I could eat this fine. The calories is 350kcal and it's exactly same as Muffin Aux Petits Fruits Et Yogourt Grec (Mixed Berry Greek Yogurt Muffin) I had the other day. However, this muffin contains Vitamin A of the daily value is 40%, which is about double and more fiber by 1 g.
To calculate the calories, fat and sugar, I'm not sure what they mean "healthy" but at least this has more Vitamins and fiber that tend to be short and insufficient, thus they call it "good for you" as the content is higher.